For visitors/県外の皆さんへ - Ice Hockey Okinawa サザンヒルJr. We welcome visitors to practice with our team! (Except February and March.) Please feel free to contact us if you are interested. There are also some Hockey session open to public managed by Sports World Southern Hill Ice Arena. 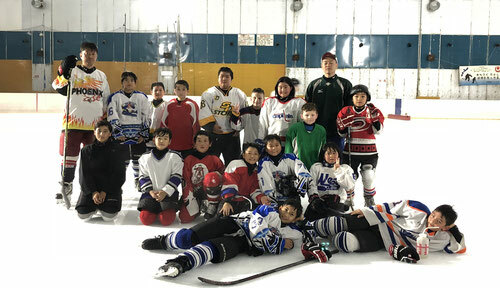 You don't have to be a team or Okinawa Ice Hockey Federation member but all of the hockey gear is required. ※Sometime they cancel these sessions due to private reservation and facility repairs. Please check with Sports World Southern Hill Ice Arena.